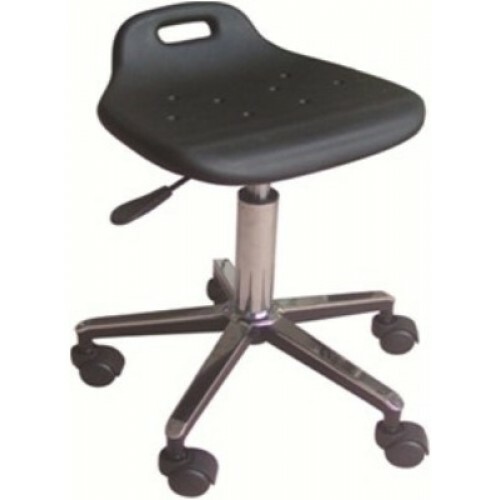 Chair for a master ST-1, buy at the price of 104 in Europe. The height of the chair is easily adjustable up to 58 cm. The base of the chair is chromed; seat is made of rubberized plastic. The coating material of the chair can be easily cleaned of any contamination with detergents. Wheels, securely attached to the legs, allow to move quickly without standing up. Low prices, from which nor the quality neither functionality does not suffer. It is an indispensable attribute of any office of professional masters. Delivery of goods is carried out across Europe.